Chanson Water Ionizers are established in Taiwan and have a US warehouse & repair depot in Laguna Hills, CA. 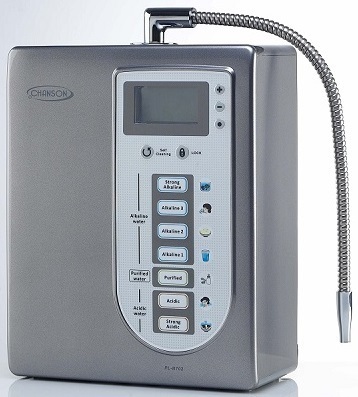 The Chanson water ionizer is a basic, average quality, water ionizer. We used to sell these water ionizers, however the testing never lived up to the other water ionizers we sell. The filtration is inferior too. The Chanson Alkaline Water company recommends that you provide additional filtration for your Chanson ionizer if you have any source water issues, whatsoever. The small filter that comes in the Chanson ionizer will filter chlorine, heavy metals and other chemicals, but is limited by its size and type. That's why city residents buying Chanson water ionizers are encouraged to purchase an additional prefilter system to go along with all Chanson ionizers.